Derry’s Clock Tower – Plymouth, Devon. 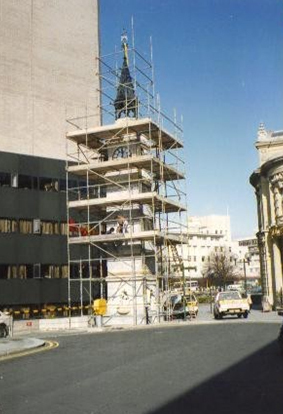 The restoration of Derry’s Clock, a pre-war iconic landmark in Plymouth’s City Centre. 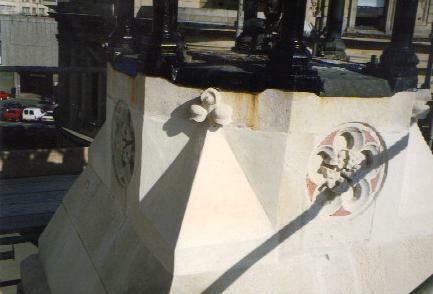 The work we were instructed to carry out by Plymouth City Council consisted of low pressure water cleaning to the stonework, various repairs to the granite and Portland stone features and re-pointing to the limestone walling. 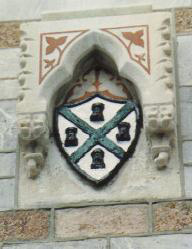 Re-painting work was also carried out to the cupola, the clock-faces and the cast iron shields which represent the ‘Four Towers’ of the old Plymouth castle. 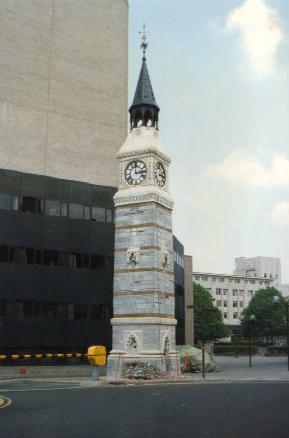 Derry’s Clock had its origins in 1862 when William Derry, a local businessman, presented the Town with a clock worth £220 and half of the cost of the coloured limestone tower in which to display it. 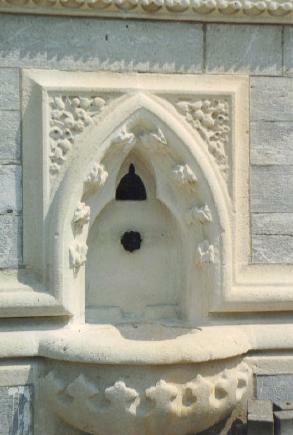 Due to Parliamentary red tape the council were not permitted to build a clock tower, but they were however allowed to build a fountain, so they included three fountains within the construction. 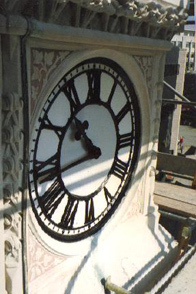 The clock was made locally by Messrs Page, Keen and Page and had four illuminated dials, each four feet in diameter. It was constructed to run for eight days before a re-wind. 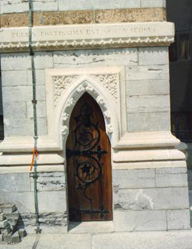 The pendulum was fifteen feet in length with a one hundredweight ball attached to the bottom. Every hour would be sounded by a bell weighing two hundredweight. 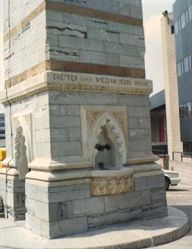 Although known as Derry’s Clock it is officially a fountain. It never was and still isn’t connected to a water supply. ‘Marriages maybe made in heaven, but in Plymouth they are arranged under Derry’s Clock’.